Summary: Inflammaging is a low-grade inflammation brought on by old age. It accelerates the aging process and worsens diseases like cancer and heart disease. Because inflammaging accelerates aging, geroscientists are perfecting a few cures for the condition. Human aging is characterized by a chronic, low-grade inflammation, and this phenomenon has been termed as “inflammaging.” Inflammaging is a highly significant risk factor for both morbidity and mortality in the elderly people, as most if not all age-related diseases share an inflammatory pathogenesis. There is good news, however. Geroscientists feel that reducing inflammaging will eliminate or reduce these diseases. In fact, these anti-aging scientists have developed several potential remedies to solve the problem. 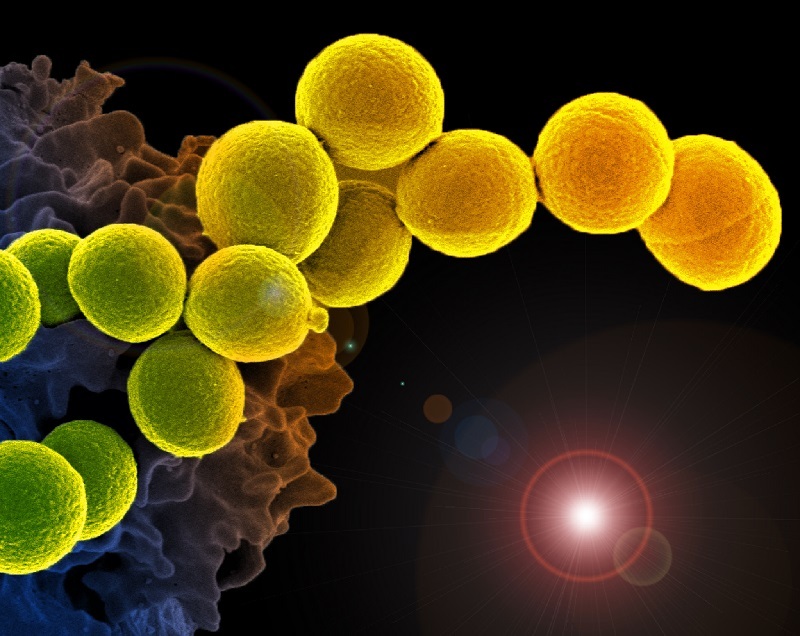 Here is a short and sweet synopsis of inflammaging: Our immune system protects us again pathogens in our youth, however, turns against us in our old. When the immune system forgets to turn off the inflammation response, it leads to the low-level chronic inflammation known as inflammaging. Evolution has optimized the human body to grow strong and thrive during our adult years. We are designed to develop into healthy adults who reproduce successfully, while at the same time remaining hearty and able to ward off injury and disease. However, evolution is a double-edged sword: our bodies have a limited duration warranty, lasting about four or five decades, after that, you’re on your own, as your internal machinery begins to break down. Take the immune system, for example, an essential component that keeps us alive. A tradeoff of evolution has optimized the immune system to keep us healthy in our youth, by fighting off infections and repairing injuries. On the flip-side, those same optimizations that work so well in our adult years have created a system that breaks down after extended usage. Inflammaging exacerbates cardiovascular disease. Here is an image of inflamed blood vessels in red, with normal ones in yellow. Image courtesy of NHLBI / Manfred Boehm, M.D. Geroscientists have linked inflammaging to many of age-related diseases. For example, type 1 diabetes is an autoimmune disorder in which the body’s immune system turns against itself. Inflammation plays a significant role in atherosclerosis and heart disease. In fact, researchers have recently announced successful clinical trials in which an anti-inflammatory drug reduced heart attacks and cancer, lowering the rates of the former by 25% and the latter by 50%. The immune system at work. Here, a white blood cell is being infected by a MRSA bacteria. Image courtesy of NIAID. No one can point the exact source of inflammaging, although, it naturally develops in multiple tissues as we age. Body fat tissue is one culprit, but not the only source of inflammaging. While reduced body fat reduces inflammaging, even those who stay slim experience some chronic inflammation. Our immune system helps protect our bodies from foreign and harmful substances, such as viruses, bacteria, toxins, cancer cells, and blood or tissues from another organism. The immune system fights off these invaders by manufacturing specialized cells and antibodies used to destroy the harmful substances. In our youth, inflammation is beneficial in warding off invaders. However, a lifetime of exposure to pathogens, combined with decades of molecular damage produce an overactive immune system. 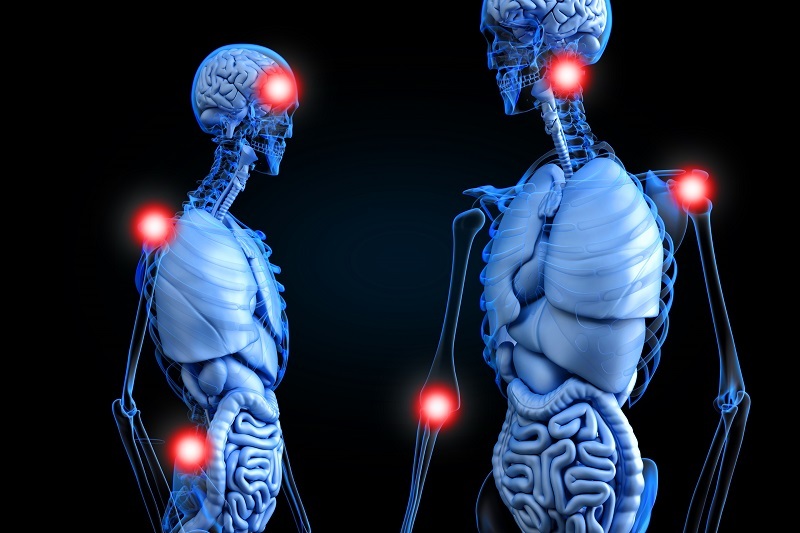 Eventually, the battered immune system neglects to turn off these inflammation processes. 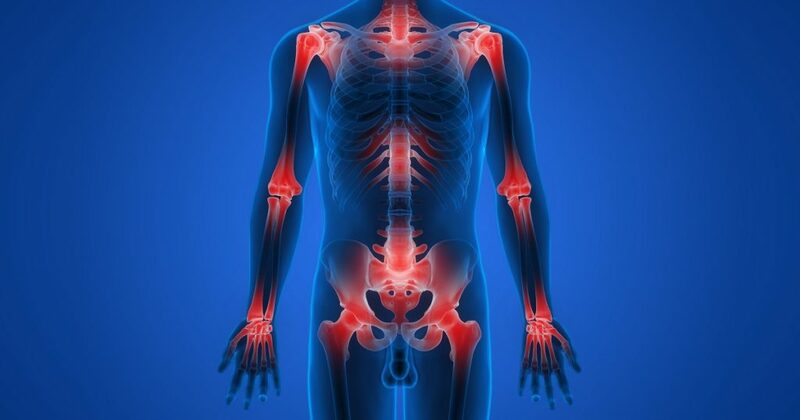 In essence, the chief problem with inflammaging is the switch becomes jammed in the on position, resulting in a chronic low-grade inflammation that accelerates aging, as it wreaks havoc throughout the body. Inflammaging – Maladaptive or not? While most of us think that inflammaging is a bad thing, geroscientists are not as confident. It appears that inflammaging is a maladaptive response, which means our immune systems are adapting appropriately to our aging bodies. In other words, our immune systems are not responding inappropriately to threats. As you will read, later on, the answer is complicated, as it appears that inflammaging has both healthy and maladaptive sides to its personality. Geroscientists have thoroughly studied the molecular and cellular mechanisms involved in the inflammatory response in both young and old. In the young, the immune response is swift and short-lived. The aged also mount a vigorous response to invading pathogens. Aging bodies often over-respond to pathogens, and that is where the problem starts. In many cases, our aged bodies fail to turn off the immune response properly, leading to chronic low-level inflammation. Inflammaging is characterized by a mild chronic elevation in the serum levels of several cytokines and acute phase factors, such as C-reactive protein (CRP), interleukin 6 (IL-6), and tumor necrosis factor-α (TNF-α). In fact, when physicians suspect that patients have an infection, they often order blood tests for some of these three factors. Physicians know that inflammaging and acute inflammation both produce the same inflammatory chemicals and use many of the same pathways in the body. Inflammaging is a low-grade chronic inflammation brought on by aging. Credit: via Stockvault. An emerging hypothesis among geroscientists is that inflammaging is partially caused by age-related to changes in the microbiome, or due to gut leakage. While the dysfunction in the microbiome has been linked to an increase in inflammation, geroscientists are still not sure. Scientists are still researching the microbiome, a collective term for the colony of microbes that inhabit our bodies. You can read a recent report about the microbiome and chronic inflammation in this link. Some geroscientists have put forth the theory that inflammaging is not entirely maladaptive, but rather a necessary response to damage. As we age, more and more of our tissue becomes damaged, and among its many other duties, our immune system is also responsible for tissue repair. In other words, chronic inflammation is a healthy response to age-related tissue damage. However, some of the damage may be beyond repair, and the immune response becomes maladaptive, trying to fix something it cannot. However, if the damage is beyond repair, then the immune response becomes maladaptive when it tries to fix something it cannot. Franceschi writes that as we age, this garbage builds-up in our tissues, in a phenomenon he calls cellular garb-aging. In fact, geroscientists suspect age-related cellular garb-aging as one of the major causes of disease and dysfunction as we grow older. Senescent cells are damaged cells that stop working normally and refuse to die. The phenomenon known as cellular senescence produces senescent cells, and geroscientists have implicated this phenomenon as one of the key causes of inflammaging as well as the chronic diseases of aging. Senescent cells accumulate as we age and are responsible for many of the chronic diseases of aging, including dementias, atherosclerosis, diabetes, blindness, kidney dysfunction, and osteoarthritis. Furthermore, they contribute to stem cell decline. 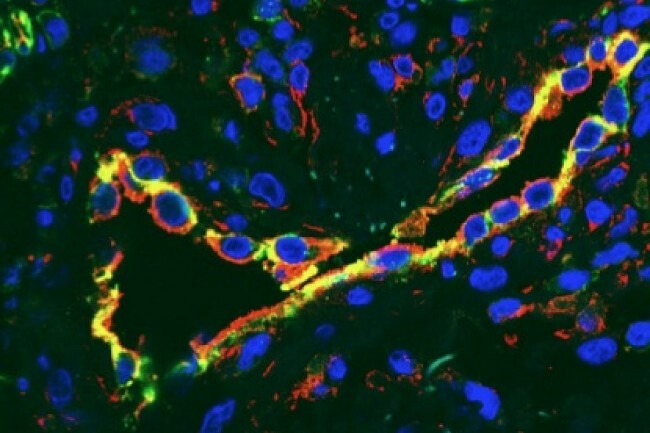 Our cells have stress response mechanisms to deal with toxins. However, cells do reach the end of their useful lives, sometimes when they have divided too many times, and other times they have been damaged beyond repair, or are in a toxic environment. Once they have reached the end of their useful life, they have two choices: self-destruct, or go into senescence. Many things can cause a cell to senesce, including DNA damage, chemotherapy, and free radicals, also called elevated reactive oxygen species (ROS). Once the cells become senescent, they stop dividing and remain metabolically active. They may have been a healthy liver or pancreas cell, but once they senesce, they change their role, into an inflammation generating factory. Senescent cells cause a plethora of problems throughout the body and accelerate the process of aging. However, help is on the way. Medical researchers have already developed compounds that clear senescent cells from the body. Anti-aging compounds called senolytics have been tested in mice with miraculous results, including delaying or alleviating many chronic diseases of aging. While senolytics work wonders in mice, they haven’t been properly tested in humans. Instead of waiting for human-approved senolytics to arrive, there is already a potential stop-gap measure called intermittent dosing with rapamycin. Rather than killing the senescent cells, it shuts them up, preventing them from spewing out the chemicals that cause inflammation. Scientists think they have figured out a solution. Two years back, geroscientists showed that rapamycin acts as a circuit breaker to shut off the harmful effects of senescent cells. Moreover, for it to work, rapamycin only has to be taken every once in a while, thus potentially side-stepping side-effects. This promising therapy suggests that a person could take the drug rapamycin weekly and it would shut down the chronic inflammation. Because the senescent cells have not gone away, they will eventually waken from their slumber. When they do, they will start the inflammatory ball rolling once again. In theory, a person on this regimen would repeat the dosage every week or so and greatly reduce inflammaging. The good news is that researchers are testing rapamycin in anti-aging clinical trials, and hopefully, we will have an answer soon. Geroscientists have found that a form or calorie restriction turns off inflammaging. In tests of the Fasting Mimicking Diet, researchers found that subjects practicing the form of intermittent calorie restriction had lower levels of inflammatory markers. Unfortunately, doctors cannot turn off the inflammation response, due to its protective role. Even slightly dampening the immune response might be harmful. Physicians stress that it is essential to preserve the immune response, even into old age. Physicians in clinics around the world are trying to curb the inflammatory response. However, interventions that dampen the inflammatory response altogether, such as anti-inflammatories might be ill-advised for several reasons. First of all, inflammaging’s central defect appears to be in the shutting-off phase. Second of all, using drugs to turn off the immune response would leave older adults susceptible to disease from pathogens and injury. Lastly, some aspects of inflammaging may be a healthy response to tissue injury. Related article: Scientists discover an ‘off-switch’ in the inflammation machinery. Please share this post on inflammaging and help us spread the word. All it takes is one simple click on any of the social media links on this page. Claudio Franceschi, Judith Campisi; Chronic Inflammation (Inflammaging) and Its Potential Contribution to Age-Associated Diseases, The Journals of Gerontology: Series A, Volume 69, Issue Suppl_1, 1 June 2014, Pages S4–S9, https://doi.org/10.1093/gerona/glu057. Xia, Shijin et al. “An Update on Inflamm-Aging: Mechanisms, Prevention, and Treatment.” Journal of Immunology Research 2016 (2016): 8426874. PMC. Web. 19 Oct. 2017. Available Online. Childs BG, Durik M, Baker DJ, van Deursen JM. “Cellular senescence in aging and age-related disease: from mechanisms to therapy”; 2015, Nature Medicine. 21 (12): 1424–1435. PMC 4748967 . PMID 26646499. doi:10.1038/nm.4000. Available Online. Jan M. van Deursen. The role of senescent cells in ageing. (2014) Nature. 2014 May 22; 509(7501): 439–446. Available Online. James L. Kirkland, Cellular Senescence: A Translational Perspective. 2017. Ebiomedicine. DOI: http://dx.doi.org/10.1016/j.ebiom.2017.04.013 Available Online. Diagnosis, Treatment, and Advice: This article is intended for educational and informational purposes only and is not a substitute for professional medical advice. The information and opinions provided herein should not be used during any medical emergency or for the diagnosis or treatment of any medical condition. Experimental therapies carry a much higher risk than FDA-approved ones. Consult a licensed and qualified physician for the diagnosis and treatment of any and all medical conditions. Call 911, or an equivalent emergency hotline number, for all medical emergencies. As well, consult a licensed physician before changing your diet, supplement or exercise programs. Photos, Endorsements, & External Links: This article is not intended to endorse organization, companies, or their products. Links to external websites, mention or depiction of company names or brands, are intended for illustration only and do not constitute endorsements. Does Our Microbiome Cause Inflammaging? Can We Trust Our Gut? Can We Rejuvenate Our Bodies Using Telomerase to Lengthen Telomeres? Superb article Brady! I have been fighting foot pain and joint pain for over a year and it isn’t excess weight or excess bad fats, sugar, too much protein, etc. Supplements don’t seem to help! I will be trying metformin shortly and then maybe rapamycin, so I’m hoping one of them helps! Fasting mimicking and a ketogenic diet for two months hasn’t helped yet either. Thank you for the kudos, Dennis. I wish you good health for the next 50 years! I should have mentioned, age is 73!